Magallanes, Sorsogon — Hundreds of pilgrims and devotees from the remote coastal town of Magallanes, neighboring provinces in Bicol and even as far as Visayas, gathered at Sitio Gibalon, Barangay Siuton, here, yesterday to commemorate the first Holy Mass in Luzon exactly 447 years ago. 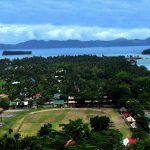 Apart from a reenactment of the first mass and first baptism at the site, Sorsogon Bishop Arturo Bastes led the celebration of a Holy Mass together with residents of this town’s 34 barangays and government officials of Sorsogon. 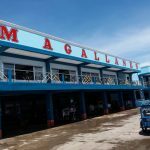 The province of Sorsogon claims that the first mass in Luzon was held in Magallanes town which was held in 1569. In a book written by Rev. Fr. Isidoro D. Dino, Ph.,D.,H.,Sc.,D., he pointed out that Bicol was the first place in Luzon to receive a new faith and a new Code of Morals from Spanish missionaries. 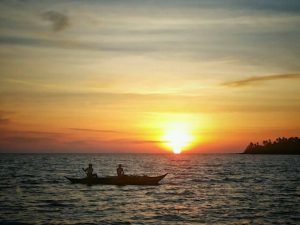 He said that it was in the southernmost of the six provinces of the region and the tip of Luzon, where the first Christians were baptized by Spanish chaplain Fray Alonso Jimenez in the barrio of Hibal-ong – modern-day Sitio Gibalon. Fr. 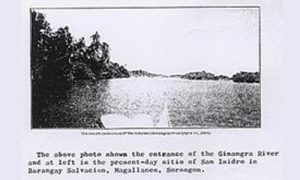 Dino narrated that it was in Hibal-ong where Captain Luiz Enriquez de Guzman – a Spanish conquistador sent by Miguel Lopez de Legazpi who was in Panay at that time – and Fray Jimenez put up a temporary chapel on the banks of Ginangra River and held the first mass on the island. 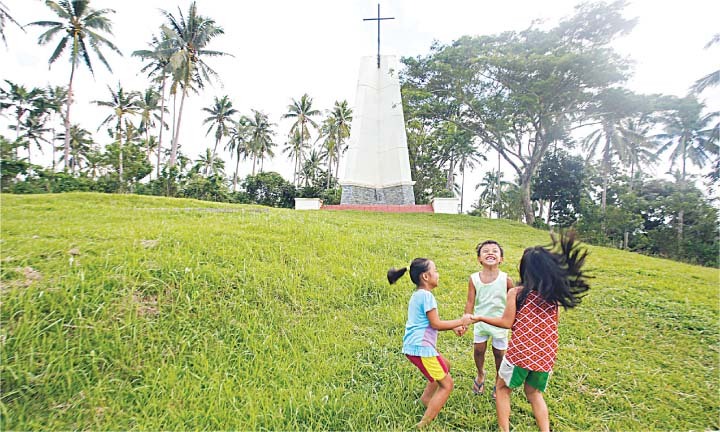 “This, indeed, is of historical importance marking the beginning of Christianization in Southern Bicol. The Bicol peninsula had become a part of the Kingdom of Christ before Manila became Christianized. 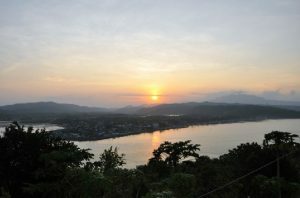 In his writings, Fray Felix Huertas described the place of Hibal-ong as located between 12 degrees north latitude, and between 113 and 114 degrees east longitude, or 77 miles north of Otavi in Bulan town, Sorsogon,” Dino wrote. He said that during the expeditions of Magellan to Villalobos in 1521 to 1542, priests as chaplains were accompanied by soldiers, in which the role of the priests was to establish the Church of Christ and the soldiers to establish the Spanish government. 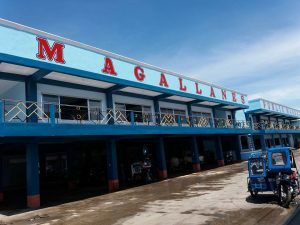 After the first mass was held, the Spaniards had established the first parish in Sorsogon the following year (1970) which was in Casiguran, a neighboring town of Magallanes. For most residents like Wenefredo Grutas, 70, the event is not only a spiritual celebration but also a feast of abundance and that explains why feasting is part of it. 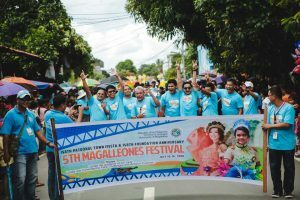 Governor Robert Lee Rodrigueza said that they want Sitio Gibalon to be put in the map of tourism and be visited during this annual event which coincides with the town’s Kasanggayahan (Prosperity) Festival.